The MXR M-288 BASS OCTAVE DELUXE is a dual-voice octave pedal with an organic analog tone, true bypass, and a variety of tone-shaping options. 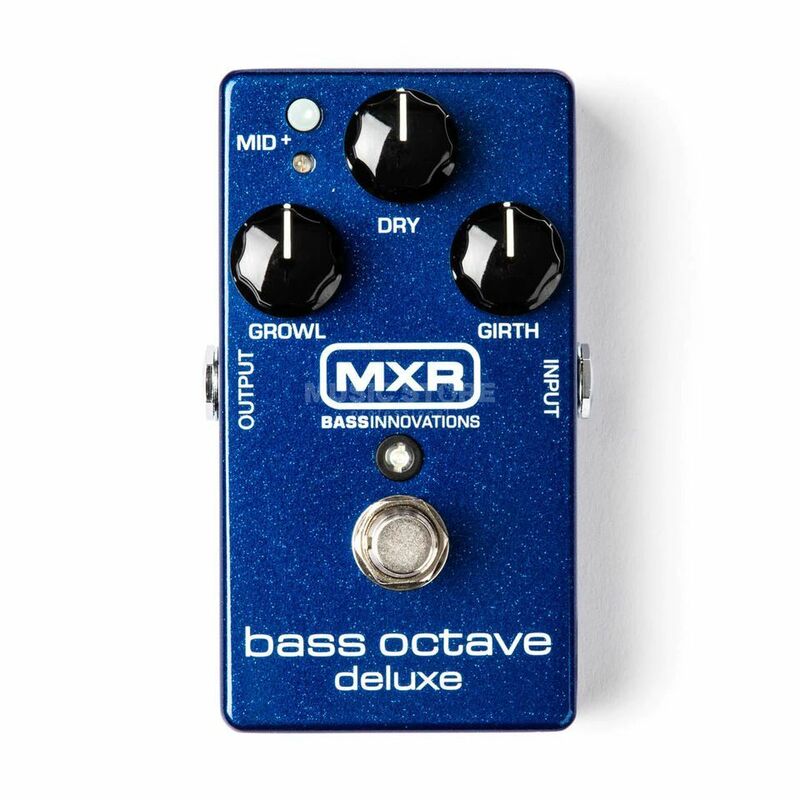 The MXR M 288 BASS OCTAVE DELUXE is powered by a single 9-volt battery, MXR’s 18-volt Constant Headroom Technology™ (CHT) provides studio-performance headroom and superior tracking. Use the Dry knob to mix your direct bass signal with the octave effect, or hit the Mid+ switch to add up to +14dB of internally adjustable low-mid punch (400Hz) or midrange pop (850Hz). Bass players will love the two separately processed and individually voiced octave controls-Growl (for throaty, midrange octave-below tone) and Girth (for deep and smooth octave below). The Bass Octave Deluxe comes in a durable, lightweight aluminum casting and also features high-quality jacks and switches.